Travel news and information about: European Culture, History, Art, Travel, Architecture, Food and Wine. This is one of the treasures of Paris that every visitor should see. Dating from the 1500s and built to designs inspired by the Abbot Jacques d'Amboise, the museum is beautifully preserved and one of the finest examples of 16th-century domestic architecture in France. It has changed little over the centuries, and transports visitors back to a fascinating era. Gothic turrets herald your approach to the mansion, surrounded by re-created medieval gardens giving off a heady scent of flowers. Inside, a collection of approximately 23,000 items, amassed largely by Alexandre du Sommerard, a 19th-century collector of medieval memorabilia, features tapestries, costumes, textiles and metals from several continents. Many of the textiles and tapestries are European or Byzantine. Some of the most mesmerising pieces include La Dame ala Licome, woven in the 1400s and one of the world's most famous tapestries from that period. Jewels and artifacts made of gold and other metals, including a magnificent glistening altar front, originate from Gallic, Barbarian, Merovingian and Visigothic eras. Notice the Visigothic votive crown, and an Averbode altarpiece. There is also a seemingly endless collection of books, manuscripts, ceramics, wood carvings and religious items. And do not miss the collection of exquisite stained glass. 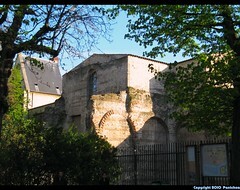 The Musee National de Cluny is famed for being the site of the Roman Baths in the adjoining Hotel de Cluny. Dating from the 2nd century ad and in remarkably good condition, the baths comprise three chambers: the steam room, known as the Caldarium; the tepid bath or Tepidarium, and the Frigidarium, or cold bath. Roman architecture is still in evidence, such as the labyrinth of vaulted rooms, and the remains of a gymnasium. For more information about Paris, France visit GuidedTourParis.com. For more information about Phoenix, Arizona visit GuidedTourPhoenix.com. By Harry Preston Goldleaf, ultramarine and vermillion were the most expensive pigments at the time, and the man who commissioned the palace, Procuratore Marino Contarini, was showing off his wealth. 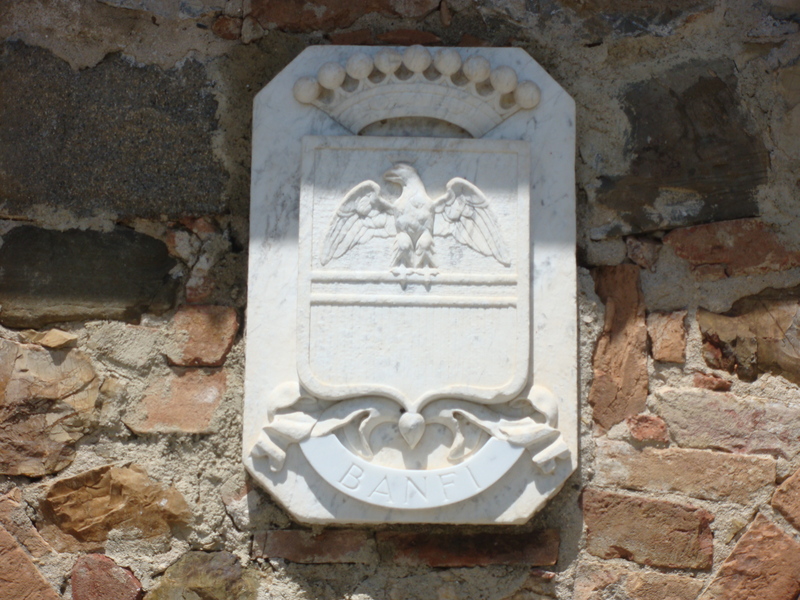 The Contarinis were one of Venice's most successful patrician families. Between 1043 and 1676 they provided eight doges for the Republic. Marino didn't manage to get himself elected so he set out to impress the city with his vast wealth. In 1421 the site had been prepared by demolishing the Palazzo Zeno, which was part of the dowry brought by Marino's wife. Between 1425 and 1434 Ca d'Oro was constructed in its place. The style is pure Gothic Venetian, described by some as "floral". Other buildings in this style are Palazzo Barbaro and the Palazzo Giustinian, both nearby. In this case the architect was Bartolomeo Bon from Campione d'ltalla. Bon, working in partnership with his father, completed a number of important works in Venice including the Porta della Carta in Basilica di San Marco, with its monumental sculpture of the judgement of Solomon, the great marble door of Santa Maria dei Frari and the fine Foscari Arch of thePalazzo Ducale. The wonderful airiness of the palace arises from its oriental pinnacles and the recessed colonnaded loggia which leads from the canal into a much more substantial entrance hall in front of a small inner courtyard into which Bon inserted an impressive well head (vera di pozzo). one of his signature features. The palazzo has been described, rightly, as a cross between a medieval church and a Moorish temple and yet for all its delicacy it is, and always was intended to be, asymmetrical. The palazzo changed hands many times over the following centuries and was owned by both the Marcello and Loredan families, but it remained in the hands of the aristocracy until the fall of the Venetian Republic in 1797. In the 19th century it was extensively altered by a series of new owners, including Prince Troubetzkoy who bought it for the dancer Maria Taglioni. Under her direction the Gothic stairway and the balconies overlooking the inner courtyard were removed and the well head sold off. John Ruskin, in The Stones of Venice, declared her interventions to be an act for which he could not forgive her. In 1894 Baron Franchetti acquired the building. He rebuilt the stairway and balconies and restored Bartolomeo Bon's well head. He also compiled a rich art collection which he bequeathed to the state, along with this palazzo, after his death in 1922. Today, the Galleria Giorgio Franchetti is open to the public. It contains some rather routine Tintorettos and Titians but Mantegna's St Sebastian on the first floor is unmissable. Look out for Bartolo's Coronation of the Virgin, Lombardo's Young Couple and Antonio da Firenze's Story of Lucrezia. For more information about Venice, Italy visit GuidedTourVenice.com. Looking at the blossoming shrubs, romantic lake and undulating paths of St James's Park, it's difficult to imagine it as marshy grazing land for pigs, but that's just what it was before Henry VIII fenced it in to make a deer park in the 1530s. The oldest of London's nine royal parks, St James's Park is a wonderful open space in which to relax and unwind in the heart of the capital. Take a deckchair for the afternoon: listen to the band that plays daily at lunchtime or in the early evening between June and August; tour with one of the royal gardeners; or go bird-watching. The park is home to pelicans and many types of duck and geese, as well as rarer visitors such as golden eyes or shovelers. The park has been beloved by British kings and queens for 500 years. Surrounded by three royal palaces - Buckingham Palace, St James's and Westminster (now the Houses of Parliament) - it was their backyard. Elizabeth I danced and held masques and pageants here. James I kept a menagerie that included crocodiles and elephants, while Charles" dallied with his favourite mistress, Nell Gwyn. Almost all of them played some part in shaping it but Charles 11 and George IV oversaw the biggest changes. Restored to the throne in 1660, Charles wanted to re-create the formal gardens he had seen while in exile in France. A straight canal was laid down the centre, lined with avenues of trees. For the first time, the public was allowed to enjoy the park. In the 1820s it was given a makeover in the new naturalistic style, bringing it close to the place we know today: straight lines were replaced with winding paths and shrubberies, the canal made into a lake. It was part of a huge project that created many of London's best-known landmarks, including Regent's Park and Regent's Street, commissioned by the Prince Regent (later George IV). The Mall, which runs along the north side of St James's, became an important ceremonial route in the late 19th and early 20th centuries, when Britain still had an empire to rule and colonial subjects to impress. Carlton House Terrace, another Nash construction, was one of the most fashionable residential addresses in town until World War 11 when it was severely damaged. With the purchase of one of its 60-room houses for £58 million in 2006 by the Hinduja family, this tradition looks to be reviving. While the park looks good throughout the year, its colours are particularly delightful in the spring and summer. If you visit around Easter, there may be an Easter egg trail for children. In April it is the end point for the famous London Marathon. Occasionally you may happen upon other surprises, such as a 12m (40-foot) mechanical elephant, part of a French street theatre performance, The Sultan's Elephant, that was staged in the park for three days in 2006. Top or tail your time in St James's Park with an exhibition or film at the trendy ICA (Institute for Contemporary Arts) on The Mall, the setting for many events of national celebration. Don't forget to stop by Horse Guards Parade on the park's eastern side, where the annual ceremonies of Trooping the Colour and Beating Retreat take place. Finally, treat yourself to a meal at Inn the Park, the park's distinctive eatery designed by Michael Hopkins. For more information about London, England visit GuidedTourLondon.com. For more information about Stockholm Slott visit GuidedTourStockholm.com. The Gothic Quarter is Barcelona's historic heart. Despite its name, it's not all Gothic, and many of the Gothic-looking features in its narrow streets and historic buildings actually date from the 19th and 20th centuries. The area's origins, however, are even older - this is where the original Roman settlement of Barcino was built. Merce and the matchbox-sized Capilla de Sant Cristobal on Carrer del Regomir. The Museu Frederic Mares, behind the cathedral offers a fascinating insight into the everyday objects used in 19th-century society, from cameras to combs. The Col. legi d'Arquitectes de Catalunya on Placa Nova often holds architectural exhibitions and the Museu d'l-llstoria de la Ciutat is a living historic architectural exhibit in itself, comprising some of Barcelona's major medieval buildings, as well as housing some of the city's most important Roman ruins. A more unusual museum can be found in the lovely Placa de Sant Felip Neri - the Museu del Calcat (shoe musuem) - where you can see the footwear of famous Catalans. 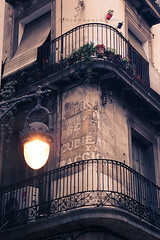 For more information about Barri Gotic or Barcelona, Spain visit GuidedTourBarcelona.com. For more information about Boston or the Boston Celtics visit GuidedTourBoston.com. By Harry PrestonThe ornate facade of this Dutch nee-Renaissance style railway station with its distinctive twin towers is an architectural highlight. Constructed on three man-made islands, the building rests en 8,687 piles to keep it stable on Amsterdam's shifting mud and sand. Built in 1889 by P J H Cuypers and A L van Gendt, the red stone exterior is decorated in Gothic style with carvings, mosaic tiles and gold accents. Two majestic towers guard the entrance: the western tower bears a weather vane while the eastern tower carries a clock. Controversial when built, as it effectively cuts off the city from its own waterfront, the building was considered by some, particularly the Protestants, to be too decorative (or Catholic, in their view) in its Gothic embellishments, earning the building its nickname, the "French Convent". Cuypers also designed the Rijksmuseum, which stands like a mirror image on the other side of the city and came to be referred to locally as the "Bishop's House". Centraal Station is the bustling central hub of activity in the city, enlarged many times to cope with increasing demands for travel. Just about every destination in the country and beyond can be reached from here, with some 1,500 trains arriving and departing every day. Easy access to Schiphol airport provides a convenient link for travelers. It is also the hub of tram and bus services, as well as a terminus of the metro system. Behind the station ferries traverse the IJ River, connecting travelers across the water. Platform 2 has a small tourist office, the main one is across Stationsplein in the white building. The Eerste Class restaurant with its belle epoque decor and 19th- century cafe provides a quiet respite and delicious food. In the main hall below are numerous fast-food outlets and shops. For more information about Orlando and the Orlando Magic, visit GuidedTourOrlando.com. By Harry PrestonA walk along the rue du Cherche-Midi will reveal some of the finest 18th-century domestic buildings in the city. Tall structures display a classic line of elaborately carved facade, arched windows and Juliet-style balconies. A statue of a centaur by the French sculptor Cesar stands at one end. This street is home to many Parisians, and is also the location for several fine specialist shops that have replaced the antiques merchants for which the street was once famous. The renowned Poilane bakery is at No 8, where all kinds of cakes, bread, biscuits and pastries make for a lavish, and extremely tempting, window display. The bakery is just a few doors away from the Musee Hebert, a museum dedicated to the work of painter Ernest Hebert, and housed in a former 18th-century hotel, the Hotel de Montmorency, at No 85. A fashionable portraitist, Hebert was the official painter of the Second Empire and went on to become a director of the Academy of France in Rome. In his honor, the museum displays notable examples of his work. Located in one of the more picturesque streets, rue Vavin, and within a reasonable walk from the Tour Montparnasse in one direction and the Jardin du Luxembourg in the other, this property stands out from its neighbouring classic 18th-century properties because of its unusually decorated front facade. It has a series of stepped balconies adorned with blue and white ceramic tiles, not dissimilar to those found on some Dutch houses. The building is known as the "Sporting House with Steps." For information about Edinburgh, Scotland visit GuidedTourEdinburgh.com. If and when you do start considering honeymoon travel, remember that there are many aspects that you need to consider. First and foremost, it would be ideal to consider honeymoon travel way before you get married, since this would offer you some time to relax and enjoy yourself instead of overloading everything onto your plate at once. To be rather frank you should realize that honeymoon holidays are certainly big business in the United States. This is the precise reason why you should be a bit more cautious when you deal with certain companies, as they could very well rip you off. One of the main things that you need to consider when looking at the prospect of honeymoon travel is the location you want to end up at. It would be true to state that there are many honeymooners who choose islands like Hawaii for their week of pleasure. But then, why do the usual thing favored by hundreds of couples all year round? In order to have the best honeymoon ever, you should obviously speak to your partner and see what places you would enjoy together. Even before you consider honeymoon travel to some exotic island, make sure you consider your budget. It would indeed be great if you can work around this so that ultimately you save whatever you have in your bank account as well. Furthermore, it needs to be mentioned that things like transport costs, and even added features like a massage experience for couples, also need to be thought of. The reason for this is that honeymoon travel companies may offer you a holiday which they say can be tailor-made but which ultimately leads to additional expenses. Finally make sure that you hook up with a honeymoon travel company that is well known in the field. After all, the last thing that you need to be doing is paying excessively for a new Honeymoon Travel company with a promise that you will have the worst possible experience ever in your life! All in all, what you need is some common sense and some patience when considering that perfect honeymoon holiday. Just make sure that you have all your bases covered before you make any decision to dig deep into your pockets. One other tip that would certainly help you out would be to ask your friends and family about who they used to have that great holiday filled with passion. As you plan your next vacation, learn how you can save 80% to 100% on your vacation. If traveling by air, you will likely use a commercial jet. But another option is to travel by private jet because nowadays private jets are NOT just for the rich and famous. Fascinating article explains how you too can ride in style on a private jet. Surf, sand and sun. Whether you love relaxing on a warm tropical beach or just want to swim in turquoise waters, the top five beaches in the world can offer you all this and more. For those who want it all, multi centre holidays are the perfect way to enjoy the best beaches all in one trip. Exotic, secluded and fun these beaches have a variety of features each making them their own little paradise. Number 5: Fraser Island, Australia. Rainforests, exotic animals, hiking, and beautiful beaches make Fraser Island the largest sand island in the world and the #5 top pick of travelers across the globe. Just over 160 kilometers off the coast of Brisbane Fraser Island offers beautiful weather all year long. Number 4: Lanikai Beach, Hawaii. The White sands of Lanikai Beach in White are truly paradise. Calm waters from an off shore reef make this beach a must visit for those seeking a relaxing vacation. Beautiful emerald waters and more than half a mile of pristine sand are surrounded by a forest of tropical flowers and plants. Palm trees kiss the edge of the surf, shading travelers. The beach waters offer wonders snorkeling and diving, thousands of tropical fishes and coral lie just a few meters off shore. Whether you want to explore the water or simply soak up the sun, Lanikai beach is Hawaii. 3: Bora Bora, Tahiti. The perfect place to get away from it all, Bora Bora is small, secluded and pristine. White sand beaches cover this tiny island in the south pacific, no more than 28 kilometers in length. A romantic paradise, Bora Bora is one of the few places that still feels like an exotic lost island in the south pacific. Small bungalow and cottages dot the landscape, keeping the island low key and private. 2: The Maldives. Luxury resorts, pampered beaches and sparkling waters teeming with fish and ocean life make the Maldives one of the best places on earth to visit. Located southwest of Sri Lanka, the Maldives are a group of more the 1000 islands and 26 atolls, each more beautiful and exotic then the next. Private boats, sailing from island to island offer travelers exclusive and captivating moments, as they explore lush jungles, dive in warm blue green waters and relax like never before. 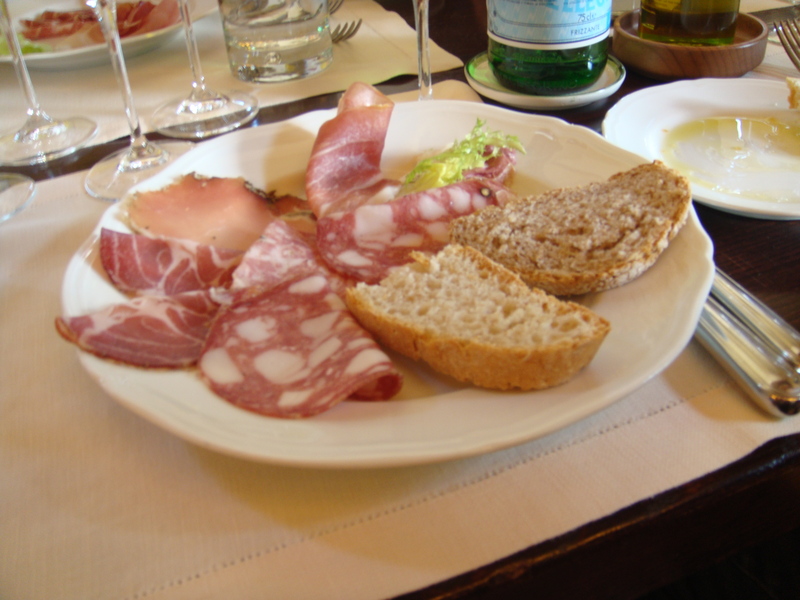 Tuscany is Italy’s quintessential wine region. 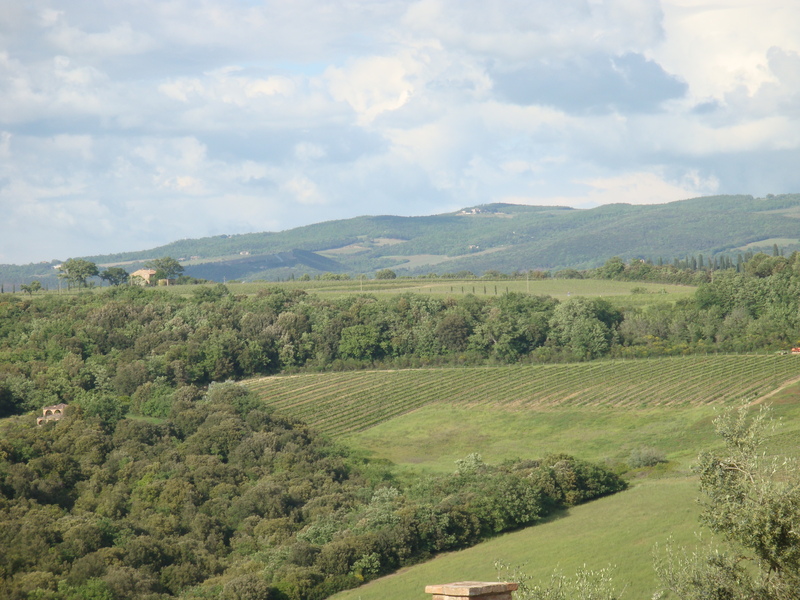 It is the birthplace of one of Italy’s blockbuster red wines, Brunello di Montalcino. This is an opulent wine made from sangiovese grapes. It has an intense ruby-red color and displays the complex aromas of black cherry, rasberry and violets. Restrictive government regulations prescribe wine-making practices in Italy and define areas where specific wines can be made using the acronyms DOCG, DOC, and IGT. 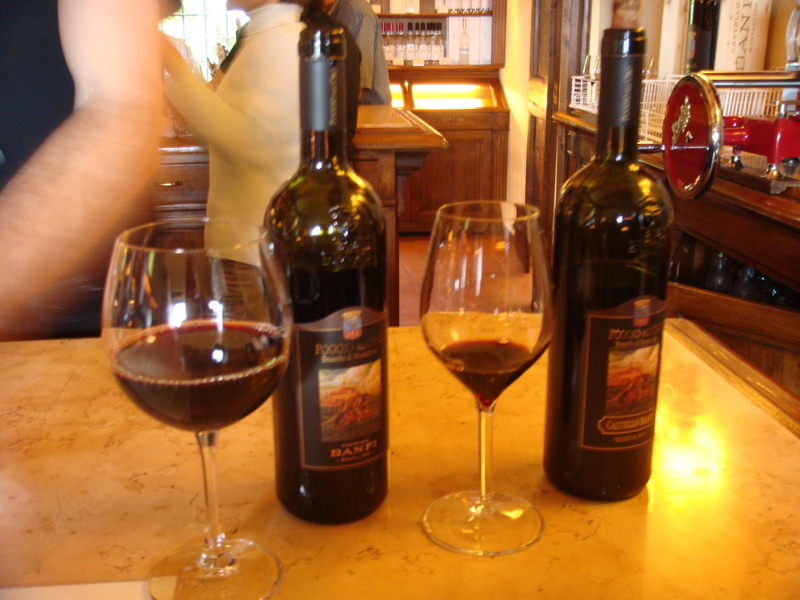 Brunello is Tuscany’s rarest and most expensive wine. 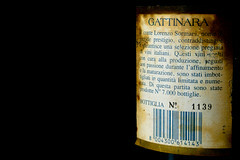 It is produced in the walled medieval village of Montalcino, south of the Chianti Classico zone. The climate is warmer and the hills are steeper. The wine is aged longer and it must be aged in oak barrels to enhance the character of the wines. The Banfi WInery was the first winery in the world to be awarded international recognition for exceptional environmental, ethical and social responsibility. It won the 2009 VinItaly International Award and has been designated Italy’s Premier Vineyard estate for 11 consecutive years. The winery is nestled on 7100 acres of land and it is owned by two wine-making brothers from Long Island, New York. They have a state of the art winery with a glass museum. 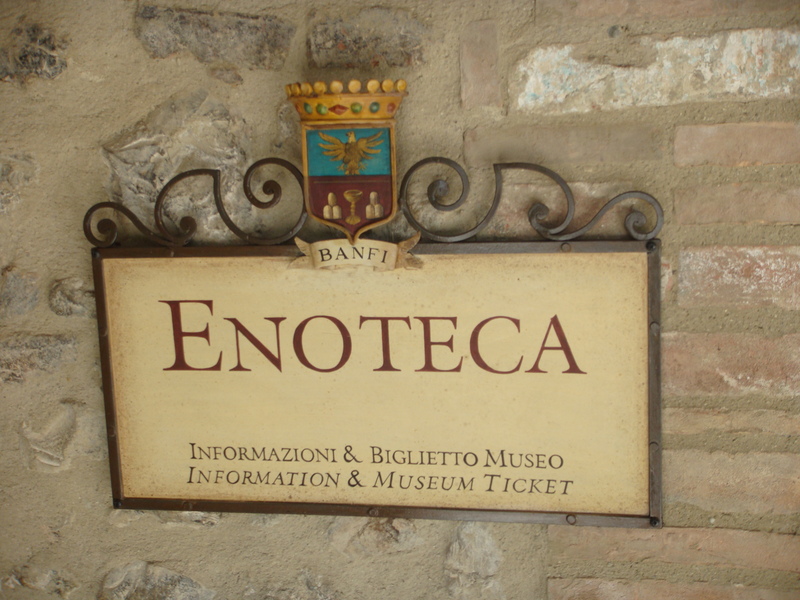 Taste their Brunello di Montalcino at the Winery’s Enoteca. 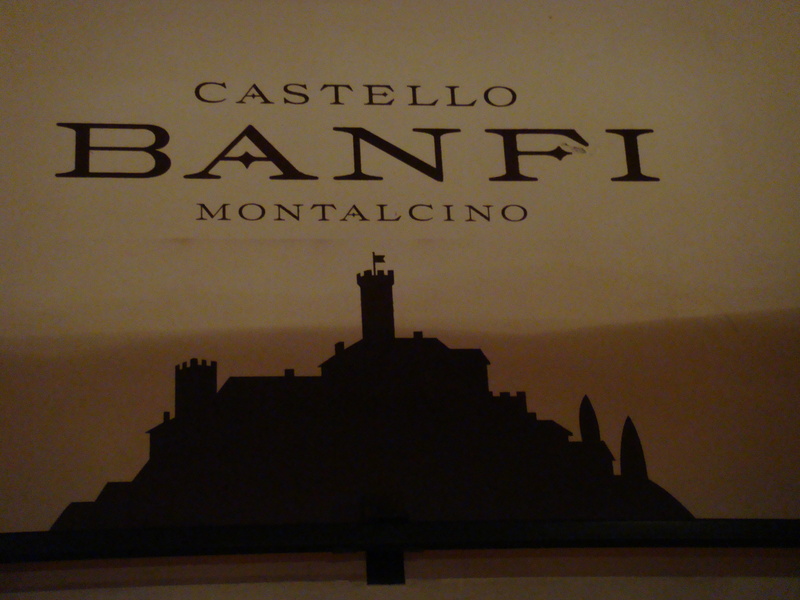 The restaurant is located in the vaulted cellars of the Castello. Enjoy three and five-course tasting menus of traditional Tuscan cooking on rustic wooden tables situated under gorgeous brick arches. You can even stay in the restored rooms and suites of the Castello Il Borgo. 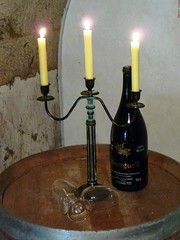 To learn more about wine tasting in Tuscany visit www.vino-con-vista.com. Salute!! What To Do With A Wine Collection After Divorce? The reality is that one out of two marriages dissolves into a bitter battle over everything, including the wine collection. Often, where former spouses disagree, the wine is simply divided down the middle or it is ordered to be sold. Rarely is there an equitable division, either because one spouse knows more than the other or because the court system is strained to the point that someone's "labor of love," his or "baby," is not considered relevant to the point of accounting for each precious bottle of the nectar of the gods. Wine is an investment, and not everyone enjoys the wait or has the space and money to keep the wine. Some have no interest in wine in the first place. The obvious choice for freeing up time, space, and capital is to sell the wine collection. But where can you sell a wine collection? 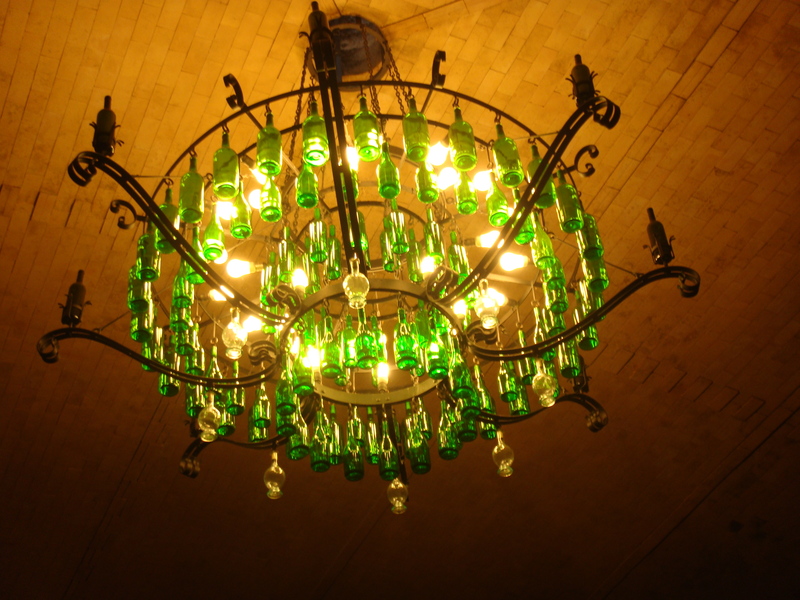 How do you go about finding a place for all those bottles without tying up hours, days or even weeks of precious time? There are ways to do this easily and there are ways which will be cumbersome, difficult and frustrating. Selling a wine collection directly to stores may not be a viable option. Wine shops usually require a valid liquor license to sell wine. Also, when selling across state lines, regulators may call for additional licenses and requirements because of varying state laws on the sale and distribution of alcoholic beverages. A more convenient and efficient method of selling wine is through the Internet. It can be an answer to profitably disposing of a wine collection. There is always a risk in selling wine through the internet. Sellers don't know who they are dealing with until they near the end of the deal. They may either get ripped off or get bogged down in lengthy arbitrations and court proceedings. It is important to understand how to deal with people on the internet before beginning any transaction. One can find wine buyers to help sell a wine portfolio at a fair price on the internet; however, do not trust just any wine buyer. Look out for any promises the buyer may make such as "too good to be true" deals they may offer. Discuss the transaction with the buyer. Ask details about your wine collection to see how much they know. Find out how he came into being a wine buyer. Finally, iron out the details of your transaction with the buyers and consider using an escrow company so that you are assured that if the transaction doesn't go as planned, you and your wine collection are protected. Being vigilant can save you a great deal of time, money, and peace-of-mind, and if you are going through a divorce, these are probably all already in short supply. Author Resource:-> Kevin Preble has been a wine enthusiast since he was old enough to drink wine. He's always on the lookout for new wine gadgets and wine gifts. If you are looking to sell your wine collection, Kevin invites you to visit the Wine Buyers Purchasing Group store and talk with one of his experienced wine buyers today. The San Giovanni in Laterno district is located in the southwest corner of Rome. Its central points include the San Giovanni Basilica and the Laterno Palace, which was the residence of the popes in the Middle Ages. Both of these buildings are located on the San Giovanni Piazza. The Battistero S. Giovanni was built by Constantine. At one point all Romans, or perhaps all of those Romans who really counted, were baptized there. Other sights that you really should see include the ruins of the beautiful circular temple of the Minerva Medica, the brick Castrense amphitheatre, and the neighboring Church of Santa Croce in Gerusalemme. For your convenience we have listed neighborhood hotels in the approximate order of cost, starting with the least expensive. We have personally verified all website addresses making sure that they include English-language pages. The Hotel Bled occupies a lovely classical villa. It is part of the Leonardi chain that includes 17 hotels in Rome. This hotel features a garden and a panoramic terrace. They provide a rich buffet breakfast in a breakfast room. The hotel address is Via S. Croce in Gerusalemme, 40 - 00185 - Rome. The Hotel Daniela is a three-star, four-story hotel with a panoramic terrace and a garden. You may enjoy the bar, a breakfast room, and a TV room. The hotel offers single, double, and triple rooms. It is part of the same chain as the Hotel Bled. Its address is Via Luzzatti, 31 - 00185 - Rome. The Hotel Re di Roma is a three-star hotel, which is situated in an early Nineteenth Century building. It offers a lobby bar and a meeting room that can accommodate a maximum of 60 people. There are 38 rooms, 2 of which have been specially equipped to welcome disabled people. Among its rooms are a family room, a junior suite, and a suite. Each of the rooms has a flat-screen LCD TV and about half of them have a balcony or a terrace. Their breakfast room serves gluten-free breakfast on demand. This is a non-smoking property. The hotel address is Via Vercelli 21 - 00182 Rome. The Prime Hotel Saint John is situated quite close to the San Giovanni Piazza. This recently renovated four-star hotel is particularly designed for business travelers. It provides congress facilities, secretarial services, simultaneous translation, and banqueting services. Its conference hall can accommodate 150 people. There are 79 rooms and 4 suites. The hotel address is Via Matteo Boiardo 30 - 00185 Rome. Levi Reiss authored or co-authored ten computer and Internet books, but would rather drink fine French, German, or other wine, paired with the right foods. He loves teaching computer classes at an Ontario French-language community college. Visit his Italian travel, wine, and food website www.travelitalytravel.com and his wine, diet, health, and nutrition website www.wineinyourdiet.com. It is not a find that Chianti is considered one of the most fascinating places in the world. The profile of Chianti's hills, the warm colours of wheat fields and vineyard, the nice and genuine nature of its people are just some of the elements that brought together contribute to a multisensory experience that the attention of those, who more than any other have been always looking for a continuous emotion, did not miss: the artists. Among all arts, the art of Movie more often requires attractive settings to be fully represented. Thus, don't be surprised if you find out that very famous movies were set in Florence and Siena's Hillside such as Gladiator by Ridley Scott, Stealing beauty (Io ballo da sola) by Bernardo Bertolucci, Much ado about nothing by Kenneth Branagh, The English Patient by Anthony Minghella, Life is beautiful (La vita è bella) by the "toscanaccio" Roberto Benigni and many other. Besides, Federico Fellini the most important Italian director conceived his masterpiece 8 e ½ just here in this very charming hillside. In particular, a lot of famous movies were directed in the land of Chianti Classico just few kilometres far from Greve in Chianti; so we can easily track the path of several celebrated directors and for a day immerse ourselves in the world of the Seventh Art, the Movie, without forgetting that typical precious wines and food of the Tuscany countryside are very close and waiting for us. Just here in Greve in Chianti, in the wonderful mansion of Villa Vignamaggio (http://www.vignamaggio.com/) the movie Much ado about nothing was fully shot; it was directed by the famous Shakespearian star Kenneth Branagh and played by Keanu Reeves, Denzel Washington and Emma Thompson. Visiting Villa Vignamaggio means enjoy the opportunity to have a unique testimony of the Tuscan countryside during the Renaissance. The Gherardinis that built the mansion in the XIV century were the owner of the most famous picture made by Leonardo da Vinci, the "Gioconda"; according to Vasari the picture portrayed Monna Lisa, the daughter of Anton Maria di Noldo Gherardini. The landscape painted behind the "Gioconda" is really the same landscape you can see out of the windows of the mansion. Moreover, inside the mansion you can buy and taste wine and oil every day from 10.30 to 18.30; you can also enjoy Spa treatments, massages and therapies, using wine and oils from the local production. The alleys of Radda in Chianti (ancient main town of the Chianti's League in 1145 and now appreciated wine town) and the colours of Siena's countryside are instead main characters of the fine movie Con gli occhi chiusi by Francesca Archibugi, based on the novel of the same name by Federigo Tozzi. After taking a walk along the wall to catch a sight of the surrounding hills and the fifteen-century mansion's of the Podestà, we suggest you to go to Casa Porciatti in IV Novembre square; here you can purchase typical products of the tradition of Chianti, as filetto di maiale stagionato (seasoned pork fillet), lardo (lard) or taste wines and jellies from the near wine bar run by the same family and located in the medieval passageways. But, how to forget how wonderful was Live Tyler in one of the most famous movies directed in this zone? Stealing beauty Bernardo Bertolucci's masterpiece with the captivating Jeremy Irons; the movie bring us to South, exactly in Geggiano at the wonderful Villa Bianchi-Bandinelli and to the Castle of Brolio near Gaiole in Chianti, where the patriot Bettino Ricasoli was born and lived. It is worthy going to Villa Bianchi-Bandinelli in Geggiano (http://www.villadigeggiano.com/), a magnificent mansion with an Italian garden of the XVI century. To visit the garden and the interior of the building, where several of the most famous scenes of Stealing beauty were shot you can call the following number +390577356879 to make a reservation. The ticket costs 15 euro. The old castello di Brolio (http://www.ricasoli.it/) another setting for the movie Stealing beauty is at 10 km toward South from Gaiole in Chianti and it is opened from 10 am to 5.30 pm from March to November (ticket 3 euro). You can visit the gardens of the castle during the week-ends from 10 am to 4 pm in December. 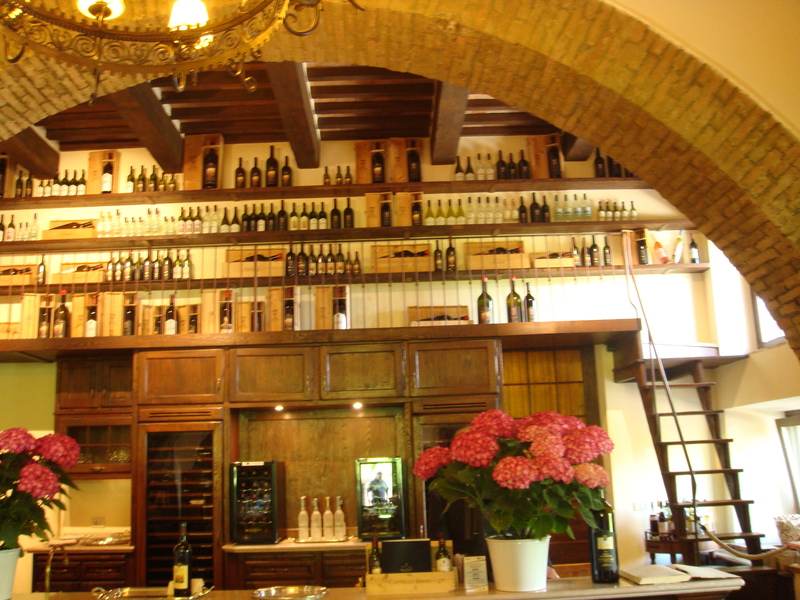 Besides visiting the castle you can taste wine, oil and spirits at the castle wine bar (for info: +390577730220). Inside the mansion you can also find a very famous restaurant, where some of the most typical Tuscan recipes are revised with personal touch: The Autumn menu offers peposo di manzo al vino Chianti (stewed beef with chianti wine) fagiano ripieno di castagne al cartoccio (wrapped pheasant stuffed with walnuts) and "pici" (typical pasta of the region) with ragù di cinghiale (wild boar ragu). Before going back to Greve just a curiosity: Chianti has always been an ideal landscape to play advertising spot. For instance, we remind you of the very popular spot of ladies tights that some years ago Antonio Banderas and Valeria Mazza stared, sensually dancing together. At that time the Spanish actor was so pleased by Chianti that bought a house just here, following the foot-steps of other international stars, like Sting, Mick Hucknall Simply Red's leader, Daniel Day-Lewis that chose Tuscany as "buen retiro" before. Exploring those lands that are still rich in dramatic poetry and almost unchanged we can easily understand their choice and share it. Many people around the world love a glass of wine with dinner. People who don't enjoy wine are simply not aware of the difference the right variety can make in a meal. Wine and food pairing is something that many diners never give much thought. Experience teaches us the proper way to do many things in life. Choosing the right wine before heading to the wine cellar or ordering something random with dinner is one of those things. The right choice will likely be different with each meal. "Pairing" refers to the method of choosing the perfect blend of flavors that will truly enhance the flavor of your meal. Most consider pairing the exclusive forte of a sommelier; hands-down the pairing expert. No great restaurant can exist without an experienced sommelier. The process of pairing is often fraught with mistakes made from inexperience. Even more daunting is the fact that meals often have more than one course. What goes well with appetizers may not be suitable for the main course, and vice versa. Most types of fish go best with a white. Varieties of whites contain less tannin; therefore the taste doesn't clash with fish to produce a metallic taste. The same is true with most types of chicken and other white meats. Varieties of reds on the other hand go best with red meats or heavier meals. Sparkling wines tend to go well with appetizers. Salads may be more easily enjoyed with a very light white or sparkling variety. 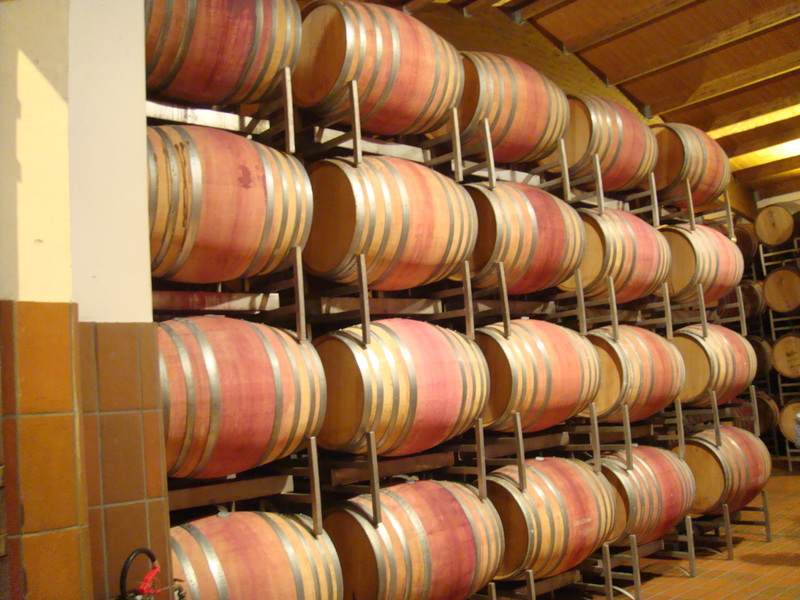 A vast number of grape varieties are used in vinification. Many people mistakenly believe that the label on the bottle will provide enough information for successful wine and food pairing. 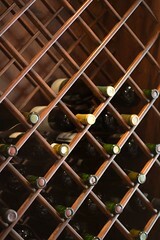 A sommelier, however, knows that it takes much more than labeling when deciding on which type to serve. Few would deny that wine selection is something that is not easily mastered. Thankfully, there are a few websites that make pairing easier for those who wish to learn the art. Aside from an impressive listing of many varieties, most websites offer helpful critiques on each. You will also find important information on specific varieties such as the type, producer and country of origin on any website that is truly dedicated to the enjoyment of pairing. Some websites offer an easy to use pairing list so that the appropriate variety may be more easily chosen for any occasion. Wine and food pairing should never be dismissed as an overly technical matter. It is an artistic task that provides a feast to the senses when properly performed. Any good host wants to create an unforgettable experience for their guests by choosing the right wine for the meal. Hope is not lost if you do not have the luxury of a well stocked wine cellar. Simply visit a reputable website that outlines a variety of options to help you choose the right variety for any occasion or meal. Pairing isn't quite rocket science but it does require a bit of time and understanding. Choosing the right wine is extremely important whether you're planning a small intimate gathering or a large dinner party. Making the right decision the first time ensures the success of any party. Author Resource:-> Marco Keurentjes is a software developer who loves a glass of wine. In helping other people on their Wine & Food pairing and other wine info. he helped develope the websiteWineWineWine.com. Check this website for your free Wine & Food pairing advices =>http://www.winewinewine.com. Dr. EveAnn Lovero is a college professor and former business school dean. Her day job involves teaching graduate and undergraduate management classes. She has accompanied her business students around the world and has taught Global Strategy courses in China and Brazil. In her free time she writes travel books.